Colors evoke passion,love,aggression,happiness and a host of other emotions. And black is one such powerful color which has been traditionally used to symbolize mystery, power, and such feelings. 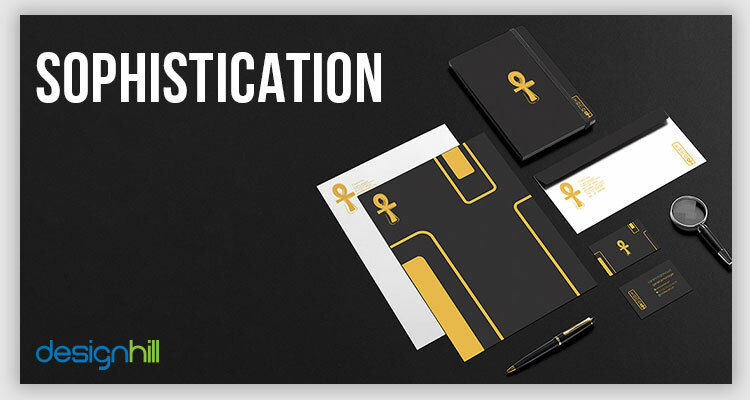 Professionally trained designers understand the power of black color very well.They use black color strategically to convey a brand message by evoking a particular set of emotions. Even a modern piece of graphic design gets a new meaning and purpose when it includes black. Though we see most of the logos and other graphic designs in colors, still, many companies prefer expressing their brand message using black only. Others have a combination of red and black or other colors used along with black. This is because black is a powerful colors in many ways. Many businesses use black to target high-end audience and young generation as customers. One of the reasons for the use of black is that it creates a mystery. It represents elegance and authority as well. If you pair black with any other color, the results are stunning. Especially when black is combined with white, it gives the desired results because of the sharp contrasting effect. There is interplay of light and dark, which some brands want to have in their graphic designs for messaging. Black evokes strong emotions in people. Professional graphic designers use black to evoke such emotions so that target customers notice the brand and become loyal to it. Such is the significance of black that in the modern world of color prints and flashing lights,this color retains its prominent place. Black is known for reflecting a lot of emotions. These include power, boldness, sophistication, authority, and elegance. If judged on the parameters of visuality, black is categorized as a heavy color. Therefore, it conveys a strong message. Most commonly, black is associated with power and authority.This is the reason that many high-end brands, which want to project a sophisticated image, use black to convey their dominance in their niche markets. However, in mythical stories, black stands for evil and darkness, and is symbolic of the villain. Some traditions associate black with intelligence and professionalism. 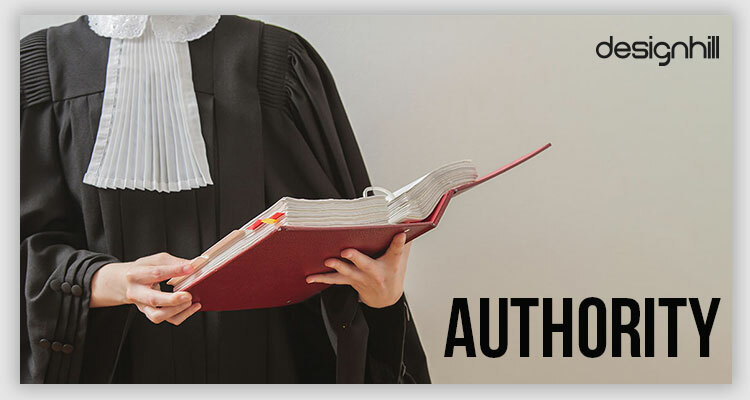 Have you ever noticed that judges, lawyers and members of the clergy wear black robes? There is a significant reason behind it. They all hold a position of power and authority. That can be reflected by black garments that these powerful people wear when performing their duty. They can instantly convey that they are in a position of authority and reliability. 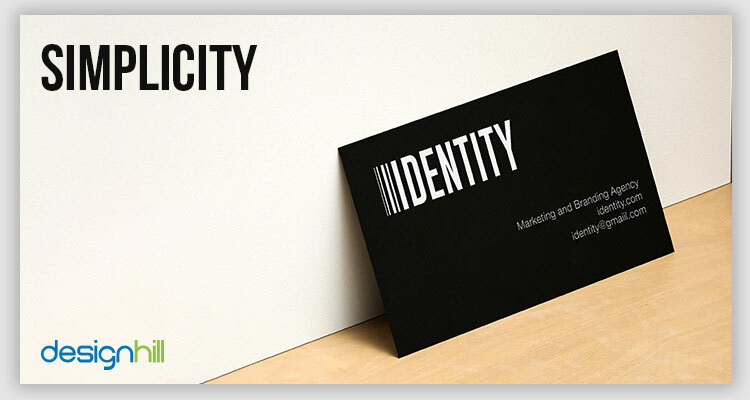 Those brands which want to be seen in a strong and bold image use black in their marketing materials. Most of the high-end fashion brands have black in their logo design. They want to be seen as a sophisticated fashion brand and want to convey superiority in their target market. Looking for a graphic design? Many designers think it fit to use black whenever they need to link a brand to power. Black is surely an intimidating color that sets a design apart from the others. Since this color is usually devoid of many emotions, the designer uses it to express superiority over other brands. Black is also associated with mystery, which means something that hidden and unknown. Many graphic designers use black to symbolize a secret knowledge. It also has something to do with magic and such ideas. In graphic designs, black is used to hide something that the designer does not want to reveal instantly to the audience. These can be some hidden feelings. Black is also a favorite color to express your class and sophistication. People coming from high societal background often wear black garments on key occasions for this reason. Most grooms prefer wearing a black or tuxedo on their wedding day, which seems to be a normal and formal affair. But it shows the importance of black. 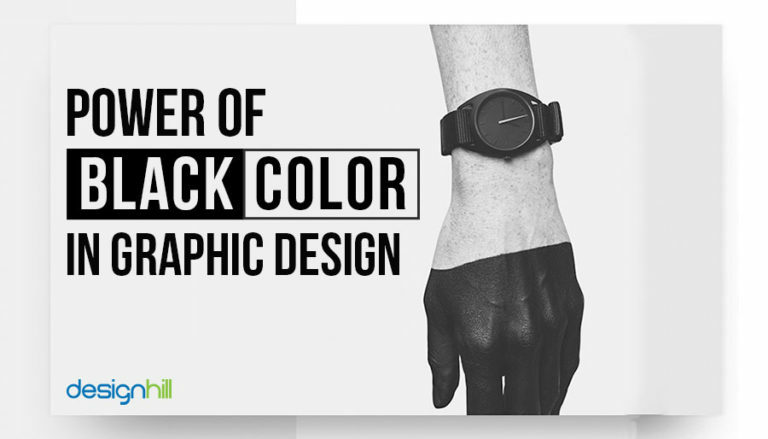 In graphic design products, most brands use black to convey their high-end features and sophistication. Fashion brands use black for this purpose. Many web designs are entirely in black to instantly convey that the brand is costly, precious, and is not a common one like others. Black is also a color for elegance. Women like to wear black whenever they want to make their presence felt at a party or big occasion. They see black as a great fashion statement. In graphic design too, graphic designers use black to give a design some elegant touch and style. If your band wishes to showcase itself as an icon of style, use black in its marketing campaign. Graphic design should be simple so that people can get the message clearly and instantly. 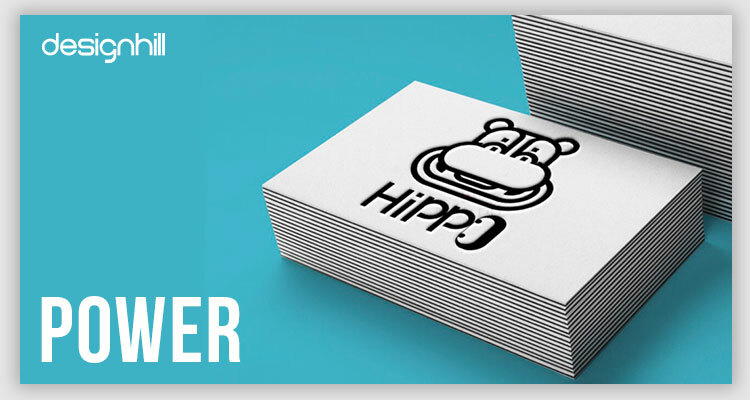 For example, if a business card design ideas are simple, they will make a good first impression on the recipient of the card. Black is a simple color. When used in a graphic design, it eliminates the need for other colors, which makes the design much simpler. Black carries both tradition and modernity with equal grace. Modern designs are sleek and stylish. Black can express the elegance with the help of clean lines and simplicity of the design. If your company wants to project elegance as its core value, use black. Many software companies use black in their marketing materials. In graphic design, black can also stand for something evil and villainous. Black can also depict people as anti-social because of stereotypes associated with this color. In other words, if negativity is to be shown in a design, black can do the job easily. In some cultures, especially in the west, black is worn on the occasion of mourning someone’s death. So, it is also the color of pain and loss that people experience. 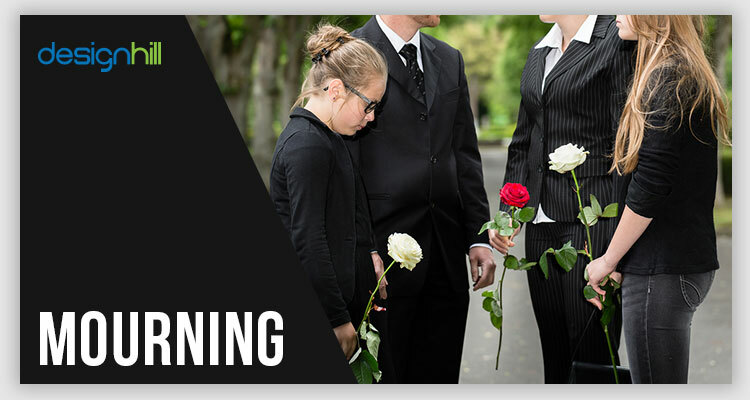 Graphic designers can express grief using black. Black is surely a powerful color but it should be used in graphic designs carefully. One of the negative points of black is that it is an overpowering color. This means that it dominates rest of the elements in a graphic design. Therefore, when using this color, justice should be done to the other design elements as well. 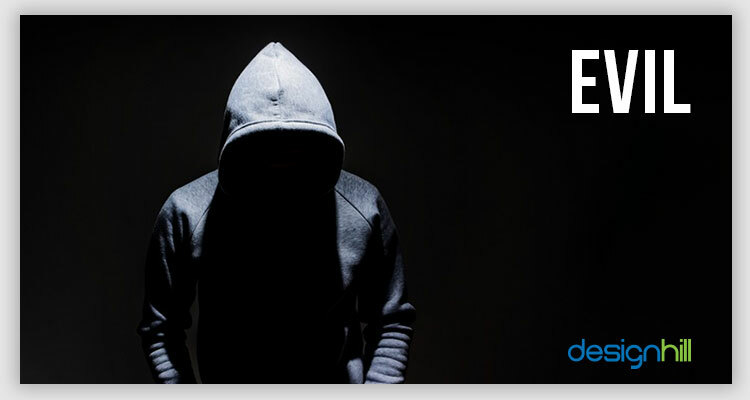 One of the reasons why black is rarely used in web design is that it can overpower the other elements. The users’ attention is solely grabbed by black and other colors are simply ignored. If other colors and elements too are meant to be included with a purpose, black can just ruin this strategy. This color stands out and most of the time not in an intended good way. This is because this color feels heavy. Therefore, a professionally trained designer has to balance it out with other colors. A trick here is to use lighter colors to keep the right balance. In many cases that too does not work properly. For example, we all know that when black is used as a dark background for text, it usually does not look good and does not work. 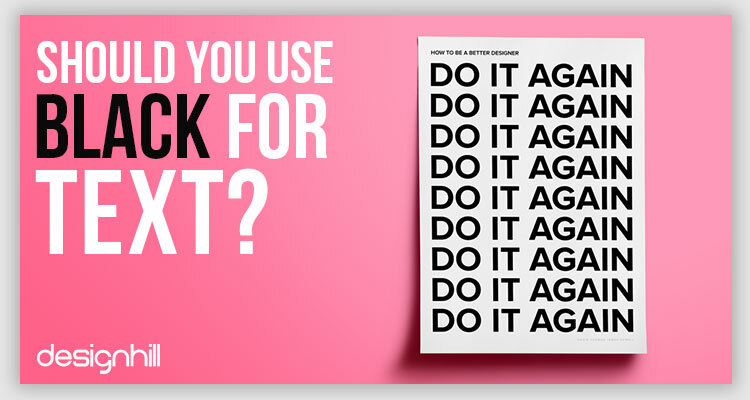 This is why many designers prefer using lighter backgrounds for texts. Even a white text does not work on a black background. But if you have to use a black background, increase the kerning, and increasing spacing as well. Also, use larger fonts. Another point to note when using black in graphic design is that care should be taken when using black as a background for any other color. Note that black has no association with other colors. Any other foreground color will stand out if black is in the background because of the separation and dissociation between the two.So, use black as a predominant color only when you think that it is the color you want for projecting your brand image of rebelliousness. 11. Should You Use Black For Text? While black is the color of power and authority, graphic designers are divided on using this color for text. Many designers feel that it can be used for text with some precautions. If proper spacing and kerning is ensured, there is no harm in doing text in black. However, make sure that the background color is different. This way you can ensure better readability. You need to make the black color stand out against a lighter color background. Black is actually an ideal color for text as it stands out more clearly against a different color background. But there are designers who do not recommend black for text. They think that it can put more strain on the eyes. So, evaluate your own graphic design needs in using black as the background and for text. A better approach will be to use black with other colors in a planned way. Also, you can refer good designing websites for brochure design inspiration before you start a project. 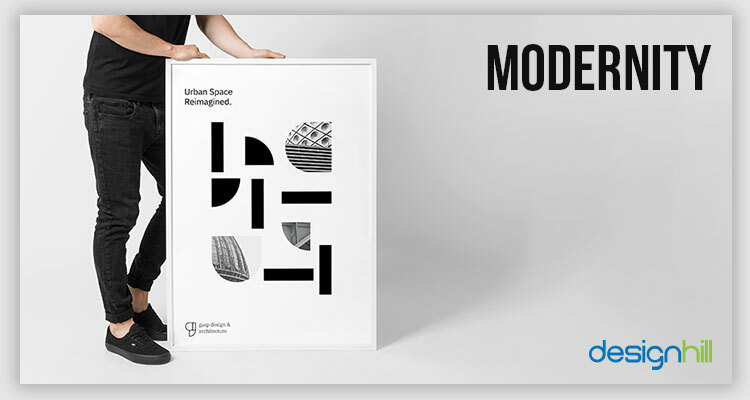 While there can be a logo design wholly in black, brochure design ideas in entirely black may not be a good idea. This shows the limitation of this color. But when used sparingly, black can do wonders for your brand image. 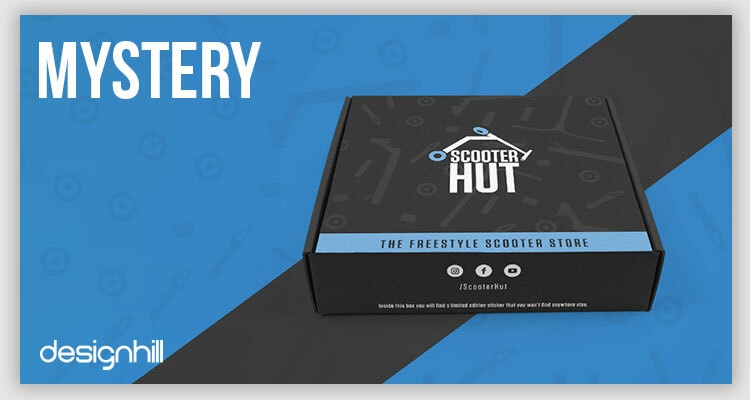 If you need graphic designs services such as logos, brochures, business cards etc for the marketing campaign, you can ensure better use of black by crowdsourcing your design work. 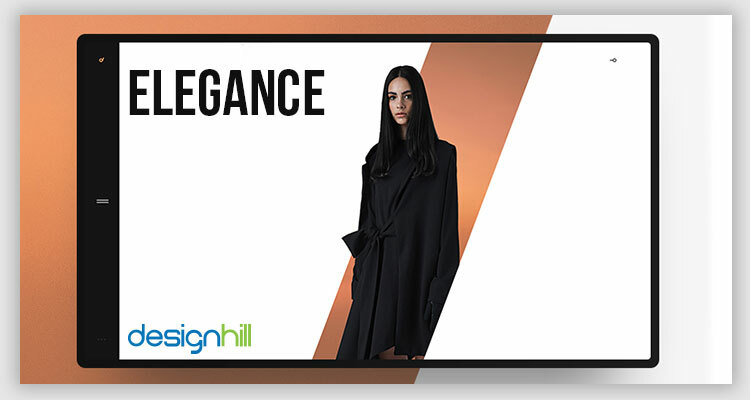 Designhill is one of the leading online graphic design service platforms where hundreds of talented designers come looking for work. You can take advantage of their graphic design services by luring them to your design contest. You can thus have a winning logo etc design at an affordable price. Black is a color of authority and power. But it is also associated with mystery, magic, and some negative things. So, use this color carefully to express your brand image and identity of authority and power. It is better to incorporate black sparingly in some graphic designs such as website design. But logos can be entirely created using black.